The Tivoli radios represent unique design and user-friendly operation. In addition, the Albergo+ offers numerous features. 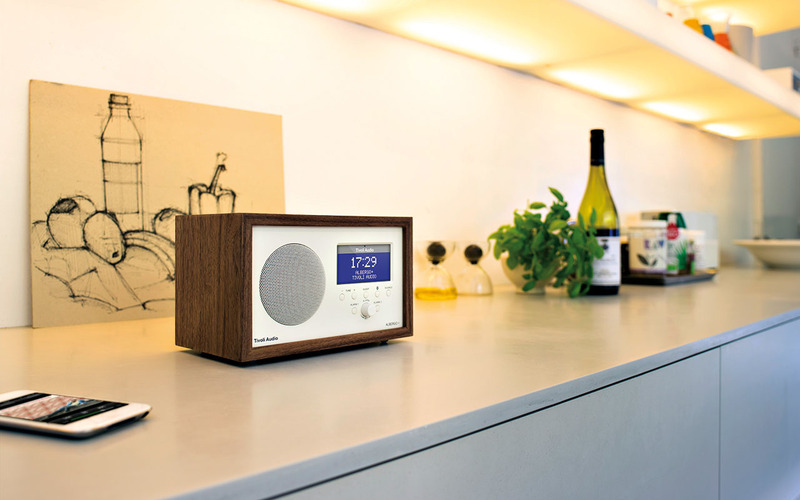 Besides classic FM radio transmission, this model is also suitable for digital radio DAB+. The small aesthetic masterpiece also offers Bluetooth compatibility. Thus, users can easily transmit music from their smart devices to the Albergo+ in good quality. Thanks to the intelligently controlled 7.5 centimetre housing, this device has a lot to offer in sound. The remote control and the alarm unit with two alarm times offer additional comfort. Harmonious integration in the living space is made much easier thanks to the selection of 20 different surfaces.